Throughout Carlo Gavazzi, all their products are integrated with each other to provide complete solutions.Automation is a fast-moving, high-tech world in which they have 4 core groups of products. Each product group is designed and manufactured in a centre of excellence to be sure that each individual product is the best in its field. CARLO GAVAZZI offers sensing technology in all sensing principles which makes it easy for the user to select the appropriate sensor for a specific detection task. Inductive Sensors, Capacitive Sensors, Photoelectric Sensors, Conductive Level Sensors, Magnetic Sensors, Ultrasonic Proximity Sensors, Motion Radar Sensors, Light Curtains, Environmental Sensors, Encoders, Loop Detectors, Safety Mats, Safety Magnetic Sensors, Safety Light Curtains. CARLO GAVAZZI offers a full range of electronic switching controls ranging from Solid State Relays for panel and DIN-rail mounting to Transformer Soft Starters and Motor Controllers for soft start/stop, reverse and dynamic brake. Solid State Relays, Soft Starters, Frequency Drives, Push Buttons & Pilot Lights, Limit Switches. CARLO GAVAZZI offers control and monitoring modules for the control and monitoring of current, voltage, phase, time, temperature as well as digital panel meters and controllers for current and voltages, frequency, resistance and temperature. 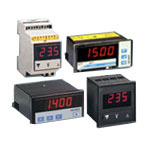 Monitoring Relays, Timers, Counters, Digital Panel Meters, Shunts, Energy Management, Software and Accessories, Temperature Controls, Safety Modules, Power Supply, Measurement Current Transformers. Dupline® is a versatile bus for Industrial Applications and Building Automation. The Dupline® field-bus concept represents innovative and lean technology in hardware elements and in the communication principle. Coding of the units is as easy as dialling a phone number. The data transfer is made with minimum of communication overhead. The low 1 kHz frequency allows signal transmission up to 10 km. High noise immunity, use of existing wires and free topology are further characteristics and advantages. Field Installation Bus, Safety Bus, Elevator Controls, Irrigation Systems, Home Automation Systems, Car Park “Guidance” System. 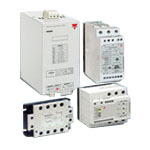 Clayton Controls is a Carlo Gavazzi distributor in California. We offer technical support to help our customers solve their applications.